Special Counsel Robert Mueller seeks to interview United States President Donald Trump about his firing of FBI Director James Comey and security adviser Michael Flynn, The Washington Post reported on Tuesday, citing two close to the probe. 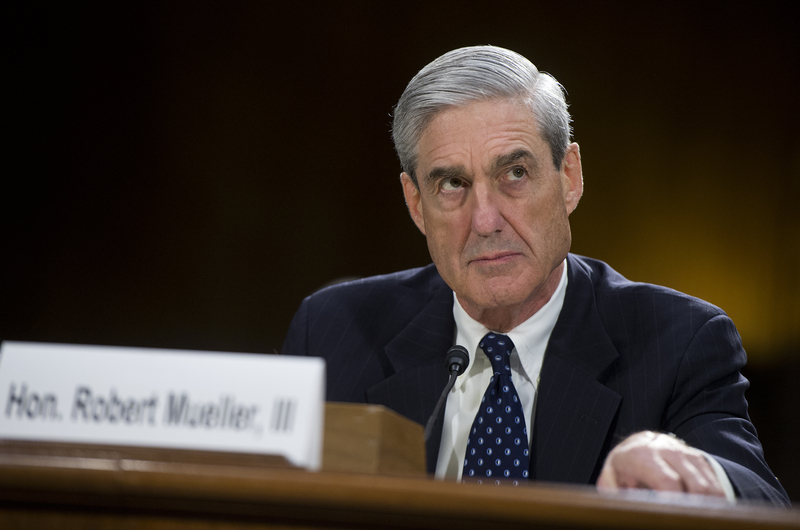 Mr. Mueller is leading an independent investigation into intelligence community allegations that Russia interfered in the 2016 U.S. presidential election that brought Mr. Trump to power just over a year ago. Mueller’s interests into the events that motivated Trump to oust the former Federal Bureau of Investigation head and the ex-national security adviser indicates the probe is focusing on possible obstruction of the investigation, the Post reports. The president’s legal representatives have installed negotiating terms the interview with Mueller’s team to possibly be presented to the probe next week, according to the dual sources. This report comes just hours after the BBC and the New York Times reported that the special counsel interviewed U.S. Attorney General Jeff Sessions last week and James Comey last year. The U.S. intelligence community has come to the conclusion that Moscow attempted to sway the presidential election in favor of Trump, however, the president and the Kremlin deny the allegations. Along with Mueller’s investigation, three U.S. congressional committees are probing the Russian interference allegations and potential collusion. Trump ally Michael Flynn resigned last February following after The Washington Post reported that he had misled Vice President Mike Pence and other officials regarding communications with then-Russian Ambassador Sergey Kislyak. Ex-FBI Director James Comey was fired in May of last year, with the president citing a report from Sessions that was based on a memo from his deputy Rod Rosenstein that criticizes Comey’s handling of the Hillary Clinton email investigation. “While I greatly appreciate you informing me, on three separate occasions, that I am not under investigation, I nevertheless concur with the judgment of the Department of Justice that you are not able to effectively lead the Bureau,” Trump wrote in firing Comey. Comey learned of his firing via news reports before giving a speech in California. The top prosecutor in the United States, Attorney General Jeff Sessions, is thought to be the first member of President Donald Trump’s cabinet to be questioned as part of the Trump-Russia probe. The interview lasted several hours, according to reports from U.S. media, with Trump stating later while on national TV that he was “not at all concerned” about the Sessions meeting. Sessions was not under a subpoena, and thus was not egally forced to meet with the special counsel. It is unclear what was said, discovered or resulted from the meeting. Refresh for the latest. Image of Robert S. Mueller III from Better Living. Going directly against Sessions' recent marijuana agenda, Vermont legalizes pot. The United Nations have released a report detailing the displacement of thousands in the fourth day of the Afrin assault by Turkey. Graduated Income Taxes Under the 16th Amendment: Tyrannical or Totally OK?